Raising kids in this generation can be scary. Motherhood is hard enough, then we read headlines and see all the things going on around us and wonder how we can possibly raise our kids today. In her new book Becoming MomStrong, Heidi St. John teaches us to be strong in the Lord, to know who you are in Christ, and to impart that strength to your kids. Heidi understands how hard it is to raise kids and wants us to be momstrong together. She teaches us to be willing to fight for what God says is worth fighting for. Heidi teaches us to be strong, rooted in Truth and to teach Truth to our kids. She shares real experiences from her own life as a mom of 7. She encourages us to not give up or give in, but to fight. This book is a must read for moms of all ages, from all walks of life and in all seasons of motherhood. 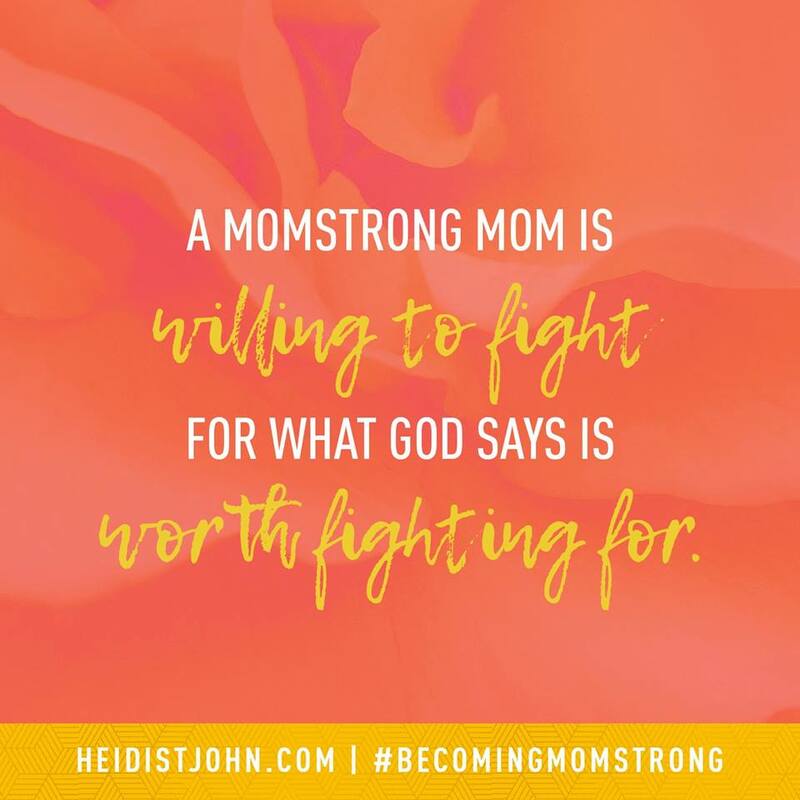 Becoming MomStrong is available today so pick up your copy and become momstrong!